The symbolic attitude is at bottom constructive, in that it gives priority to understanding the meaning or purpose of psychological phenomena, rather than seeking a reductive explanation. There are, of course, neurotics who regard their unconscious products, which are mostly morbid symptoms, as symbols of supreme importance. 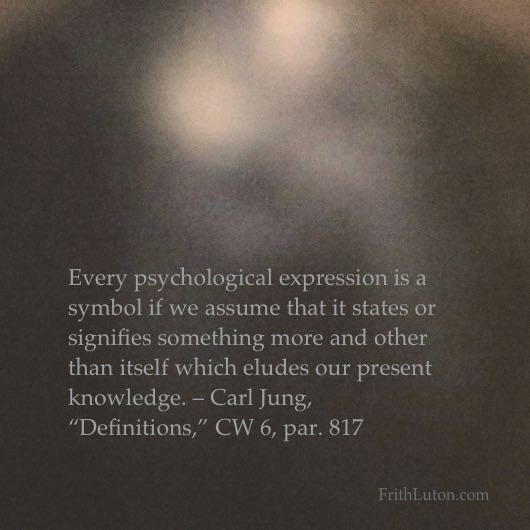 Jung’s primary interest in symbols lay in their ability to transform and redirect instinctive energy. The formation of symbols is going on all the time within the psyche, appearing in fantasies and dreams. In analysis, after reductive explanations have been exhausted, symbol-formation is reinforced by the constructive approach. The aim is to make instinctive energy available for meaningful work and a productive life. Checked out my Facebook page?